Farm Girl Pink....: ~ Bell Telephone.... the Kitchen wallphone... in pink! ~ Bell Telephone.... the Kitchen wallphone... in pink! I am always looking for the vintage advertisements, for the odd stuff I collect. 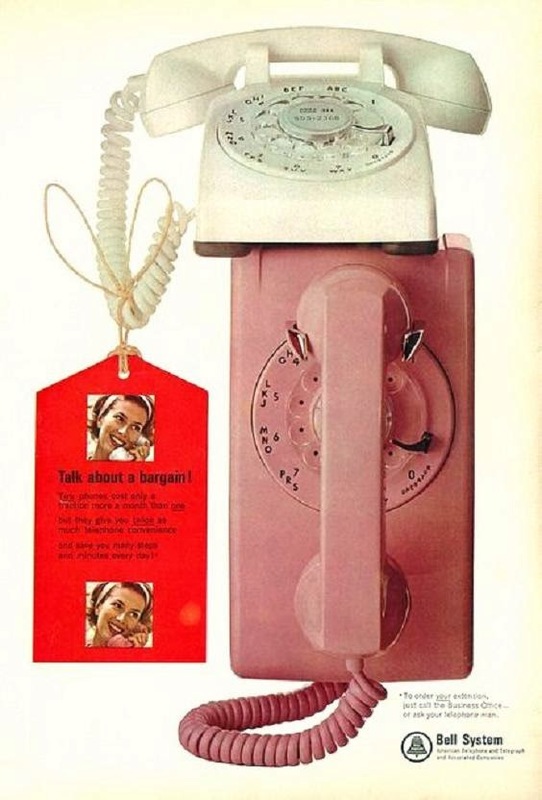 And these pink telephone ad's are wonderful... and gives me a decent idea when they were being marketed. 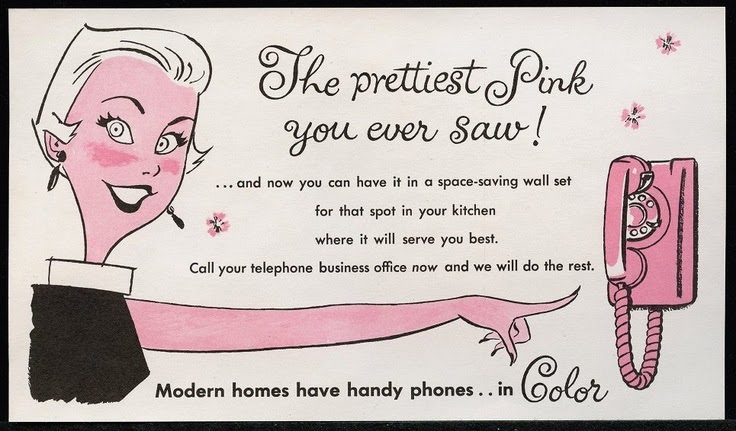 My favorite sell point... is that "Modern homes have handy phones .... in Color!" You have it in pink! Lucky girl. I grew up with one hanging on our kitchen but it was a boring beige. Love the pink! I grew up with a boring black wall phone in the kitchen... till that harvest gold nightmare, took its place. But my Aunt... she had a turquoise kitchen wall phone until maybe a decade ago. When she finally gave it up for a cordless one.